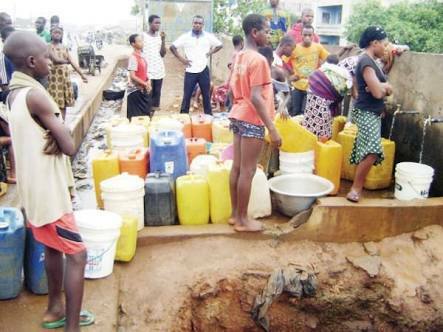 Kwara Government assures of adequate water supply to households by 2019 – Royal Times of Nigeria. 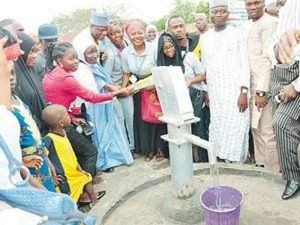 The Kwara state government has said with the pace of work ongoing on water project in the state, water supply should be available to every household in the year 2019. The state consultant on Water project, Professor Suleiman Adeyemi made the assurance today during a press conference to brief state correspondents of the development on water projects in the state. Professor Sulaiman, a water engineer said that the water treatment capacity in Ilorin, the state capital, has been increased from twenty-seven thousand metre cube to one hundred and five thousand metre cube per day. While noting that the state government has completed water reservoir and treatment around the city, he added that more than one hundred and eight thousand households will have access to water by the time the tertiary distribution project is completed in the city. The Permanent secretary, Ministry of Water Resources, who gave a breakdown of the financial cost of the project, said the state government, has spent six point five billion naira on water reticulation project since 2009. He also added that one point nine billion naira has been earmarked in this year’s budget as cost for the rehabilitation of water projects within and in other towns in Kwara. This, he said includes ongoing work in Ojoku, Sobi, Omu-aran and Oyun to mention a few.